Detox teas are trending. If you’re health-conscious, and especially if you’re interested in losing weight, you are certain to have come across the new celebrity-endorsed range of teatox brands that make claims to work miracles on your waistline, skin, hair, energy levels and more. Now, I would go as far as to say I am a herbal tea fanatic! I gave up coffee (and all caffeinated drinks) back in my 20s when I developed the Flo Living protocol. So, seeing tea trending is very exciting to me. I collect teas, I have a pantry full of different varieties – I’m something of a tea connoisseur. However, some of these new detox teas and the promises they make have me concerned. The scientific evidence does not show that tea helps you to lose weight if you are overweight or obese. The way the majority of detox teas or teatox brands work is to include a laxative component like senna leaf. Senna may help you shed excess water, but it comes along with a number of side effects – especially when taken in several cups of tea a day, including stomach cramps, nausea, and diarrhea. Senna promotes excretion in your body, not calorie or fat-burning. It’s not recommended that senna be taken for longer than two weeks or in excessive amounts of the kind promoted for teatox regimes. It can cause an imbalance in electrolytes in the blood and damage the bowel function. Another ingredient that is often found in detox teas is guarana, a plant you’ll see added to some “energy” drinks. There are many unwanted side effects to guarana, related to the caffeine, which may include stomach pain, nausea, vomiting, headaches, anxiety, and increased heart rate. Caffeine is supposed to impair appetite and this is why it is seen as useful in teatox brands for those looking to lose weight. However, for women caffeine has some concerning side effects. Many detox teas or teatox brands do contain some beneficial plants and herbs like dandelion, lemongrass, ginger, peppermint, and milk thistle. These can help support the liver’s detoxification system. 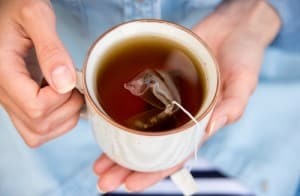 However, supporting your liver, losing weight and detoxing is not as simple as sipping tea. But, I’m sure you’ve guessed that already! You could drink all the teatox tea you want, but if you’re still eating and drinking the wrong things for your body and your hormones, it’s not going to really net a difference. The Flo Living protocol has built-in strategies for the kind of results these teatox brands promise. If you read the small print on the teatox websites you will see they declare that you will not lose weight without a healthy diet and exercise regime in place. These teas will also have no hope of helping your liver or detoxing your system (even with the beneficial ingredients I mentioned above) if your diet is otherwise overloaded with processed foods, pesticides, junky health foods, sugar, and dairy, or if you are otherwise starving yourself of crucial micronutrients and minerals with crash diets. 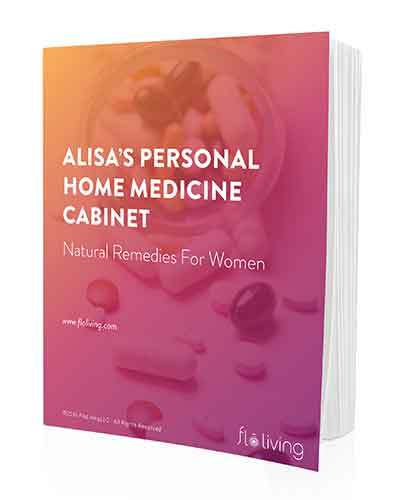 …by addressing the root causes of – weight gain, acne-prone skin, hair loss, low energy, insomnia, and a sluggish metabolism. The process is NOT miraculous – it’s based on supporting the systems that are designed to keep you healthy – all you have to learn is how to eat for those systems. That’s why the FLO protocol actually works and you do get the results you hope for! That’s the kind of science based process we all want. However it does, of course, involve more than tea! I drink tea every single day. I love it. I know that the kinds of tea I choose have long term health benefits, but I also find the ritual of making and preparing, and then drinking tea during my afternoon break, very soothing and relaxing. These teas here will support your liver, balance your blood sugar levels, and sooth your adrenals. As such, they are treating the root causes of why you may be experiencing weight gain, acne, hair loss, and low energy. Burdock Root tea – rich in vitamins and minerals, this tea is a good source of dietary fiber, which is essentially for your liver to detoxify from toxins and excess hormones. Herbal Chai tea – great with milk, this tea contains ginger, cinnamon, and black pepper, making it a great blood sugar stabilizer. Stable blood sugar supports healthy weight loss and prevents binge-eating and cravings. Baked Apple Cinnamon Rooibos tea – cinnamon is a weight-loss aid I do recommend readily in tea or as a supplement. And rooibos contains quercetin, which is anti-inflammatory. Dandelion tea – dandelion is in many of the new detox teas because it’s known to support digestion and the elimination system, so why not go straight to the source? It is rich in fiber and a good source of vitamin A, which is excellent for liver detoxification. Woman’s Balance tea – raspberry leaves, cinnamon, lemon, ginger, black pepper and cloves are amongst the ingredients of this wonderful tea blend. Final FLO tea-tip – if you are looking for an immediate laxative effect perhaps due to IBS or another digestive health issue, and you know that senna is not the best choice for this – then I recommend magnesium and buffered vitamin C. Drinking a magnesium supplement in combination with vitamin C has a similar impact on the elimination system as well as lots of other benefits for your hormonal health. First, have you tried a teatox brand? Second, do you want to lose weight? In the heat of the summer, I love drinking iced morrocan mint tea (by Numi) with frozen blueberries. My body loves it and it was so refreshing! Thanks for spreading the Light and Truth, Alisa. Yummy! Going to try that too! Hi Alisa! I have read other articles where you recommend raspberry leaf tea to support our female organs, but I have heard that it contains phytoestrogens and I have a uterine fibroid which you have mentioned it’s estrogen related. Would it be better for me to avoid raspberry leaf and other herbs containing phytoestrogens? What would be other herbs beneficial for women with uterine fibroids? I drink loads of green, fruit and herbal teas. My favourite brands are Pukka and Yogi though Twinnings is good for fruity ones (no health benefit but tasty). Are there any teas you would recommend avoiding? And are there any teas you would recommend drinking during specific phases? The links don’t seem to work. Can you update them?